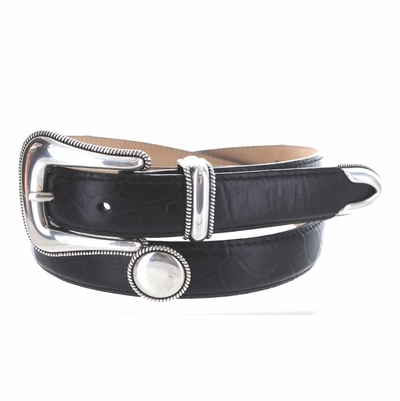 High Quality, Italian Calfskin leather Belt with a polished 3 piece rope edge buckle set adorned with 5 matching rope edge polished conchos . Belt is 1" Wide. Size is measured from buckle end to the middle of the 5 holes.